If you live in Cocoa Beach, FL, you can buy in Cocoa! The Hyundai Santa Fe is a highly versatile and extremely capable midsize crossover SUV that gives you plenty of passenger space, cargo space and offers available all-wheel-drive. The Hyundai Sonata is a midsize sedan that delivers the interior space you’re looking for and the technology and comfort you deserve at an affordable price. The Hyundai Elantra is a fuel-efficient compact sedan that offers exciting performance on the road and a long list of innovative technology features and luxurious comfort options. Check out our incredible inventory of new Hyundai models, including the Santa Fe, Sonata, Elantra, Tucson, and many others. 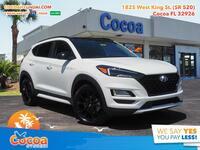 See more of your options in Cocoa Beach, FL or read more about us below. 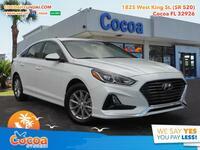 If you want to get behind the wheel of a new Hyundai so you can see for yourself what all the hype is about, stop by Cocoa Hyundai and we’ll be happy to set you up with a test drive in one of our many incredible new Hyundai models. 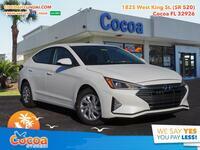 From the new Hyundai Sonata sedan to the incredibly versatile Hyundai Santa Fe, you’ll find everything you’re looking for at a price that fits your budget when shopping for a new Hyundai model in Cocoa Beach, FL at Cocoa Hyundai.